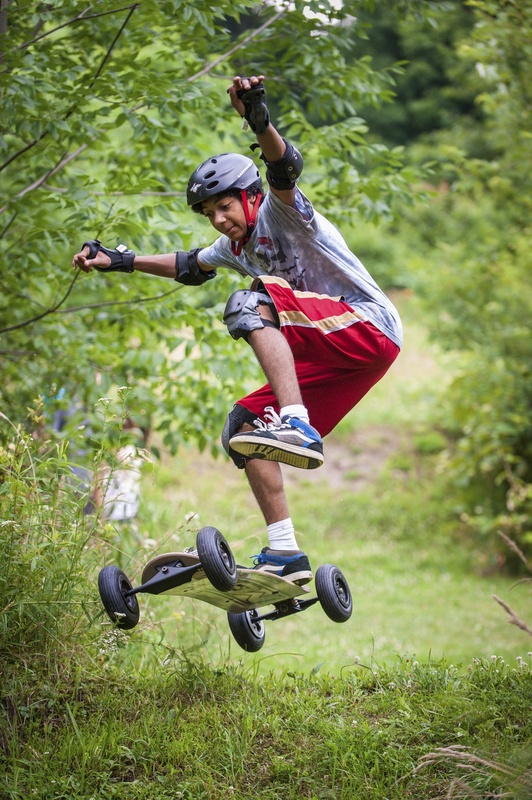 Next Level is a camp offered to older campers ages 13-17, and is run through our Lamont Lodge. Campers live in groups of five in our dormitory-style rooms with one staff person. For Bible Studies and other activities, three rooms are combined together to make a group, called a huddle. There is no prerequisite to attend Next Level camp. Next Level is an adventure-intensive camp, with a focus on activities like zip-line, white water rafting, a day at the lake, mountain biking and boarding, high ropes, climbing, and overnight camping. Next Level campers also participate in many Classic Camp activities, including snacking at the HUB, camp-wide games, and CLUB. Next Level campers also revel in the luxury of air-conditioned rooms with an attached bathroom and the opportunity to spend time with other teens.